Data-management applications are focused around so-called CRUD actions that create, read, update, and delete data from persistent storage. These operations are the building blocks for numerous applications, for example dynamic websites where users create accounts, store and update information, and receive customized views based on their stored data. Typically, the application’s data is required to satisfy some properties, which we may call the application’s data invariants. 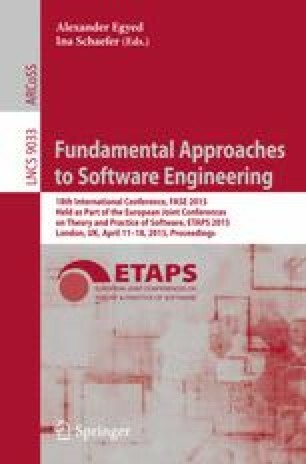 In this paper, we introduce a tool-supported, model-based methodology for proving that all the actions possibly triggered by a data-management application will indeed preserve the application’s data invariants. Moreover, we report on our experience applying this methodology on a non-trivial case study: namely, an application for managing medical records, for which over eighty data invariants need to be proved to be preserved. This work is partially supported by the Spanish Ministry of Economy and Competitiveness Project “StrongSoft” (TIN2012-39391-C04-01 and TIN2012-39391-C04-04).